I cannot tell you how much I love this book. I mulled over numerous canning books this last spring and this one gave me the inspiration I was hunting for. I love love love that the recipes aren't for enormous batches of this that or the other. These are things you can start and finish in two hours. Obviously some things take a little longer than others but if you go to the farmers market and come across say, garlic scapes, and you want to try pickling them without buying 20 lbs of them, here's your book. And who would've ever thought to pickle garlic scapes in the first place? Oh, this book. The lay out is by season and recipes so easy to follow. I love that there's a section at the end on how to have your own canning party and different themes. Fun! Ok well, fun for me and other geeky gals that like to do this kind of thing. Here are my pickled garlic scapes and dilly beans. BTW the dilly beans have been a huge hit. I basically haven't bought pickles since I made these since we use them everywhere we would use pickles. When using fresh dill I highly recommend using the flowering heads because they provide a more pronounced dill flavor. Pickled curry baby carrots and pickled beets with allspice and juniper berries. So good! I've always used the water bath method for all my canning but have started taking more advantage of just refrigerator canning things. Thomas Keller even has a section on this in his Ad Hoc book which has made me think of canning as more of an every/anyday kind of thing when you have leftover produce instead of just once or twice a year. Which to me is very practical but my poor husband thinks my obsession with all things in jars (which has managed to take over the entire top shelf of our fridge mind you) is well, a little obsessive. My boys adore their blankies my mom made them. When they curl up next to theirs, their eyes get heavy and know it's time to drift off to sleep. I loved my blankie dearly when I was a kid. I remember all the times my grandma faithfully mended it over the years. There's something so very comforting about a lovey. This is made with a sweet pink minky and Anna Maria Horner's little folks voile. Soft and cuddly for a sweet baby girl. I made a few other things as well but wouldn't you know it I forgot to snap photos. Ugh. I made a toy from Lotta Jansdotter's Book that looks like a little giraffe. Then crafted up a mini felt hair clip and one of my baby bibs. I'm not craving a baby girl or anything. Not like I'm pinning girl room inspiration on my Pinterest board...or maybe I am. Oh heavenly yummyness! My sweet hubby got up this morning and tended to the boys so I could get a few extra precious moments of sleep. As I was snuggled there in my bed I was thinking to myself it would be nice to make little something extra for breakfast this morning. So I grabbed my phone a scrolled through my Pinterest food board and found this. Perfect! I made my way downstairs and proceeded to whip it up. I however did not have fresh blueberries but frozen nor did I have buttermilk on hand. Making buttermilk is easy, just mix 1/2 cup of milk and about 1/2 TBS of lemon juice. I let it sit while I was getting out my ingredients and preparing the cake. I thawed my blueberries gently in the microwave, drained them, laid them on paper towels, dusted with flour. Instead of mixing them in the batter, I spread about 1/3 of the batter in the pan, sprinkled half the blueberries over then gently spread most of the rest of the batter, sprinkled the remaining blueberries and dotted the top with the last of the batter. Sprinked with a bit of sugar and place in the oven. I baked mine in a 9 inch pan for 35 minutes and it turned out perfectly. Big hit with the boys. I love blueberries and lemon together. So summery. Yay! It's finished! This is the Joy Circle's Quilt from Febuary for do. good stitches charity bee. Yes I'm that behind. I have been a busy bee the last few weeks trying to catch up on my sewing projects. When the blocks first started rolling in and I put them up on my board I thought, "Oh my gosh, this is going to be one crazy looking quilt." But it all came together beautifully and I'm very happy with it. Here's the back. You can see the quilting much better. I really like the random lines. It seems to fit the starbursts well. I especially like the serendipitous stars that formed on the back. How fun it that? 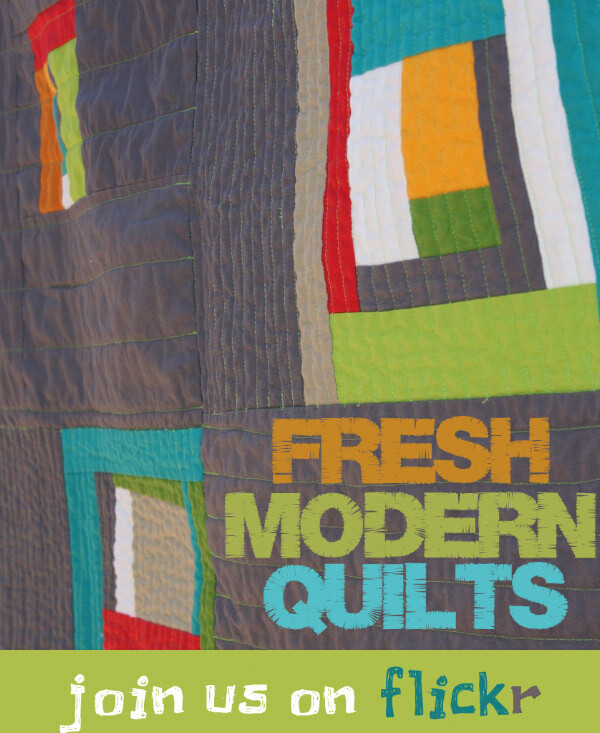 Originally got the idea for this quilt over at FITF. She has her tutorial here. I also did up a tutorial of how I went about my blocks here. Confession: I snapped some other photos of the quilt outside with my camera (these are from my iphone) but since my computer crashed and the one I'm borrowing doesn't have the camera software and I have no idea where it is, these are all I have right now. I hope to get the others up soon but I just couldn't wait any longer! twice before picking the winner. 1/3 cup red wine vinegar over chicken & onions. tapioca turns liquid into a nice glazey sauce. Serve over rustic mashed potatoes. Yum!! I missed a day. Yes I know. Hubby was working on the computer, installing updates, doing a virus scan, etc. and when I tried getting on the internet yesterday morning it didn't work :-( I know how to cook, sew, garden and a few various other things but when it comes to computers...it's not my thing. But he got it working now and I'm back with a slow cooker pot roast recipe. This is one I discovered over the last few months in my hunt for slow cooker recipes and I think I've made it three times...that's how much we like it. However, I will warn you, it's not one of those throw it together in 10 minutes kind of recipe. It requires browning the roast for one which I don't know about you but my whole kitchen, including myself, ends up smelling all smokey by the time I'm done browning anything. But it is well worth it. We all love this meal and I cook just as it says - exactly. It comes from Cooks Country (the sister show/magazine to Cooks Illustrated). I have an online memberships to both and highly trust their recipes and equipment reviews. If you cannot find 2 1/2- to 3-pound pork shoulder roasts, you can substitute one 6-pound pork shoulder roast but cooking two smaller ones is better. They cook quicker offering better texture and flavor. 1. Pat roasts dry with paper towels and season with salt and pepper. Heat 2 teaspoons oil in large skillet over medium-high heat until just smoking. Brown roasts all over, about 10 minutes. Transfer to slow cooker. 2. Add onions and additional 2 teaspoons oil to empty skillet and cook until browned, about 5 minutes. Add garlic and tomato paste and cook until fragrant, about 1 minute. Stir in wine and simmer, scraping up any browned bits with wooden spoon, until thickened, about 2 minutes. Stir in tapioca, tomatoes, and thyme; transfer to slow cooker. 3. Toss carrots, parsnips, 1/4 teaspoon salt, 1/4 teaspoon pepper, and remaining oil in bowl until vegetables are well coated. Scatter vegetable mixture over pork. Cover and cook on low until meat is tender, 9 to 10 hours (or cook on high 4 to 5 hours). 4. Transfer roasts to cutting board, tent with foil, and let rest 10 minutes. Remove twine from roasts and cut meat into 1/2-inch-thick slices; transfer to serving platter. Using slotted spoon, transfer carrots and parsnips to platter with pork. Stir vinegar into sauce and season with salt and pepper. Serve, passing sauce at table. Here's another that my guys loved and rightly so, it comes from a friend of mine that has three boys and a hubby to feed. A few things I did a little differently; I don't rinse my green chilis, I saute my onions (if you cook this on high for a few hours vs all day), I use a garlic press, topped the soup with tortilla chips (instead of tortillas), fresh cilantro, avocado, shredded Mexican cheese and a dollop of sour cream. You can also throw in a handful of frozen corn and/or black beans. Boneless skinless chicken thighs would also work well in this. Put onions and garlic in bottom of crock pot. Add Chicken with cumin and pepper. Pour in tomatoes with their liquid and green chilis. Cover and cook on low 6 hours or until internal temp of chicken reaches 160 degrees. Take chicken breasts out of soup and shred using two forks. Return meat to soup. Stir in tortillas, cilantro, and lime juice. Top individual bowls with cheese and avocado if desired. I have taken forever in getting these posted. I can blame it on the holidays, the 6 week stretch of no sleep, the near impossibility of getting uninterrupted time or all three. For some reason, in my foggy head this post was daunting because I was stuck on thinking I had to post all the recipes at once in one post complete with awesome photos. Then it just now occurred to me after a friend emailed me asking where the recipes were, why don't I just post one every day for a week and if I don't have a photo it's not the end of the world. I told you my head has been a bit foggy and I tend to have unrealistic expectations of myself - working on that one. So here is the first one and I'll post one everyday this week with the winning one on Friday. We all really enjoyed this soup. This came from a sweet friend that has four adorable little ones so she knows all about maximizing her time and getting something tasty and healthy on the table quickly. I am posting it exactly how she sent it to me with all her notes. In a large skillet, cook chicken, half at a time, until browned. Remove with slotted spoon to a 3 1/2 to 4 quart slow cooker (skip this step if you are adding already grilled or roasted chicken) Add carrots, broth, water, vinegar, soy sauce, ginger, and pepper. Cover and cook on low-heat setting for 4 to 6 hours or on high-heat setting for 2 to 3 hours. Cover and cook for 10 to 15 minutes more or until noodles are tender. I was nominated the other day for the Liebster Blog award! Thank you Natalie! She's a sweetheart and so thoughtful. I met her through the NOVA Modern Quilt Guild and she made Asa his little car seat quilt. I was talking about her the other day. She blogs about all her sewing and quilting adventures. One of my favorite projects she's made are these little pincusion fish. This is my friend, Jessica's blog that she shares with her sister in laws. Their blog has fallen silent over the months but I hope she/they can start blogging again soon! I miss her. They sell their lovely goods on Etsy and I've bought several for myself and as gifts. They are quite talented and have the most creative and beautiful space at craft fairs. I know she always has little projects going on but she does have 3 little ones that keep her quite busy. Andrew and Carissa are ridiculously talented. He does video and she photography. I have no idea how many people follow them but I assume they have quite a following because they are just so incredibly gifted. But since I don't know, I'm nominating them. You just have to go check them out. Whenever I read their blog I'm just blessed by the beauty that shines from them. Carissa is in Africa right now...they're adopting a little girl from there...check out the story...and donate if you feel led. Oh, here's the crazy thing. Carissa is Jessica's sister in law too. My sweet beautiful friend from back home in Oregon. She sings *beautifully* and recently moved to Nashville to pursue her dream. Her and a friend did a crazy road trip/tour last year throughout all 50 states. Check out the story here. Another friend of mine started a blog this year for moms. In her words, "Thoughtful research on things that matter most." She has some good info there worth checking out. This entry hit home the other week with all the storms we've been having. So my friends, I’m passing the Liebster Love on to you. Wear the award proudly on your own blog and be sure to pass the award on to 3 blogs you recently discovered and link back to the person who tagged you with the award!